Wide antique 15ct gold hinged bangle. 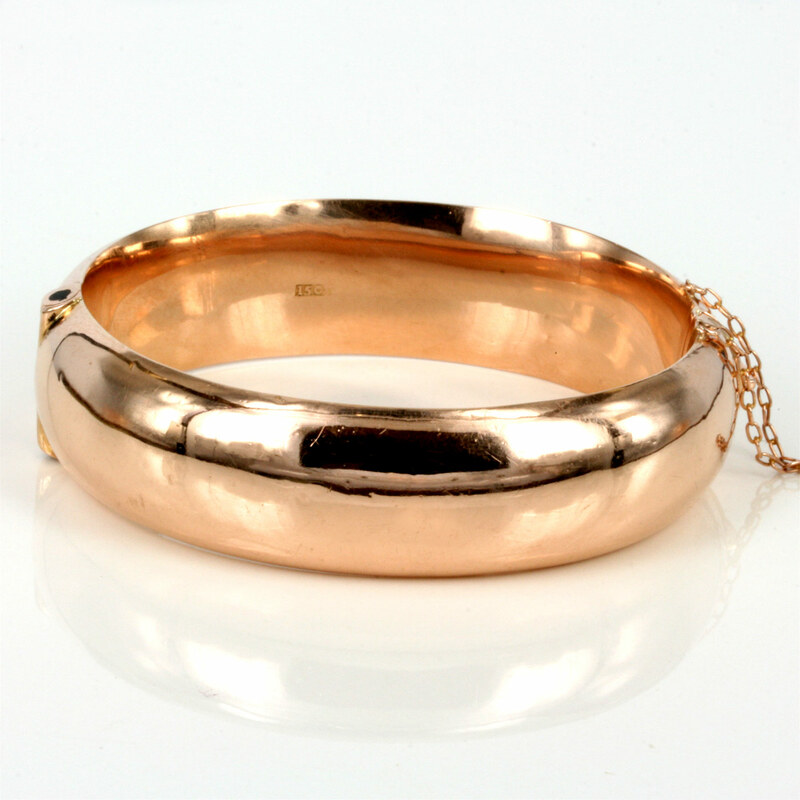 Product code: 1284 Categories: Sold Items, Sold Jewellery. Here is a beautiful and wide antique hinged bangle made in the Edwardian era of the early 1900’s. 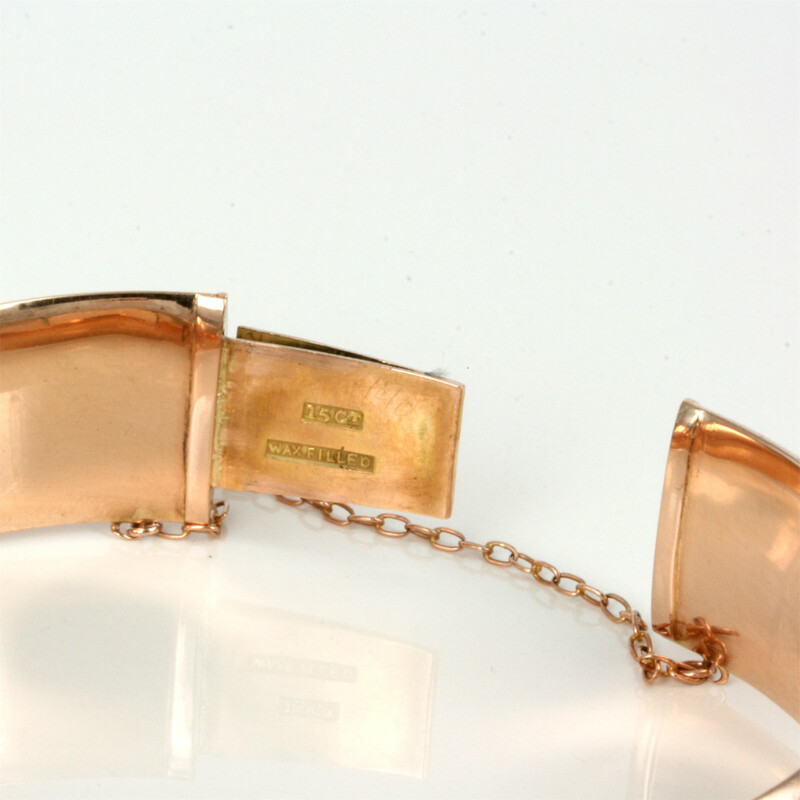 Made in 15ct rose gold, this hinged bangle is wax filled for added strength and is the most wonderful colour gold. Measuring 1.6cm wide and being hinged, this antique bangle sits perfectly on the wrist and can still so easily be worn every day. A classic look and style that has never gone out of fashion.